If you don't like handing over so much cash every time you have to fill up your fuel tank, we've got some good news for you. 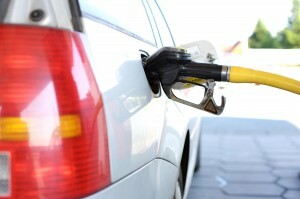 There are many ways in which can increase your fuel efficiency and save money at the pump. You don't have to get a new car or start taking public transportation either. To learn more about how you can make your fuel last longer, check out these tips. If you have a long list of vehicle maintenance tasks that you haven't taken care of in a while, now is the time to tackle your list! Because neglecting your vehicle's wellbeing can result in reduced fuel efficiency, it's important that you do your best to keep it in shape. Below are some tips on how vehicle maintenance can increase your fuel economy. Many people don't realize that the condition of the tires they drive around on can actually affect their fuel efficiency. During the hot summer months, something to look out for are under-inflated tires. When your tires are under-inflated, they can increase rolling resistance. This will lead to your fuel being consumed more quickly as you car has to work harder. A full or clogged air filter is something you don't want in your car. If your filter is no longer able to remove abrasive substances from the air being taken in, combustion processes will be less efficient. This can result in added strain and reduced fuel economy. If your battery is still in good shape, you still need to check on it periodically. This is important because you need to be sure your battery cables are well connected and clean. If they're a bit corroded, this means that alternator will have to work harder, leading to a decrease in fuel efficiency. Do your best to keep these cables clean and replace them when needed. Getting oil changes at regular intervals is a must if you want to keep your engine in great shape. Instead of using your same, old oil, use a synthetic oil for even better protection no matter the season or the conditions you're driving through. By using a synthetic oil you can be sure your engine will cleaner and more efficient, helping your cut down on your fuel spending. Keeping up with vehicle maintenance may sounds like a drag, but it can make a huge difference when it comes to your car's well being. Don't skip your next oil change, in fact, make it a synthetic oil change in Warminster to get the most for your dollar. Not sure why synthetic oil is a must? The oil experts at Synthetic Oil Direct can tell you all about the benefit of using a synthetic oil. They can even recommend products like AMSOIL's Signature Series 0W-20 Synthetic Motor Oil. Contact them at (215) 834-8720 for more information. Everybody thinks they're the perfect driver, but this isn't always the case. In fact, everyone can probably change a few things about the way they drive in order to be safer and to increase their fuel efficiency. Something super easy you can do to reduce your fuel consumption is make your car lighter. We don't mean that you have to remove parts of your car, but rather just clean it out. If you tend to lug around tons of items in your trunk, make time to clean them out so you're not carrying around extra weight. Idling your engine on cold starts is no longer needed. It may have been necessary with very old cars, but doing this now is just a waste of fuel that can add to our pollution problems. Instead, drive away slowly on cold starts. It's also best avoid rush hour traffic and any situation in which your engine will be left idling for longer than 30 seconds. Air conditioning is the summer is a life saver, but knowing when to use it is key. While air conditioning is known to consume tons of fuel, you're better off using it while driving at higher speeds, like on a highway. If you're driving at lower speeds or on city streets, rolling down your windows is a better option. Also, don't turn on the a/c right away. Roll down your windows as you drive away to let the hot air out and once your car feels less stuffy go ahead and turn on the a/c. Along with improving your driving habits, don't forget to also make an effort to keep up with vehicle maintenance this summer. To start, get a synthetic oil change in Warminster. Contact Synthetic Oil Direct at (215) 834-8720 or visit their online shop for a full range of the best AMSOIL Oil products.